The Ranmin Lodge in Nuwara Eliya is designed to offer guests a ‘chilled’ holiday, literally, sans the hassle of much planning and trepidation. Should there be special requirements by guests, those too can be accommodated, provided they are mentioned when the booking of the Lodge is made. The Lodge features 2 television sets with Dialog TV connection. A stereo set in the living room ensures entertainment and music throughout your stay. 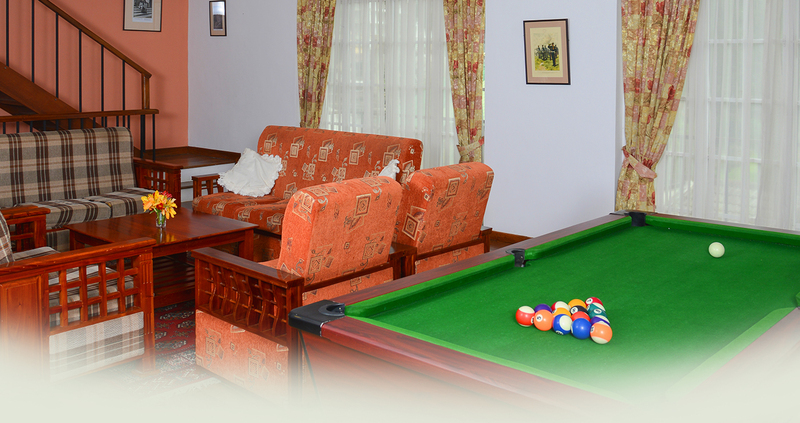 A Pool Table also in the living room allows for sessions of indoor camaraderie. Mini excursions around the area can be arranged. Heaters would be provided on request. A fully furnished Kitchen in ‘Section A’, and a pantry area with all facilities in ‘Section B’. Kitchen / Pantry amenities include cutlery and crockery, an electric stove, microwave oven, fridge, rice cooker and oven. Guests could opt to prepare their own meals, or have an in-house chef arranged for them if requested. If the menu is provided prior to the arrival of guests, all cooking ingredients could be purchased locally. Alternatively, guests could bring their own ingredients. 24 hour care taker service is guaranteed.